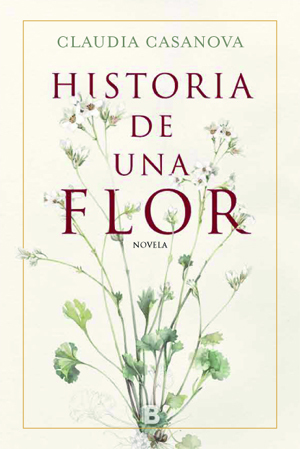 A touching love story of Alba, a young daughter of aristocratic family in Teruel, and Heinrich Moritz Willkomm, a well-known German botanist, with the discovery of a new species of a flower in the 19th century Spain in the background. It is the year 1879, Valle de Valcabriel, Teruel. Alba’s mother, Mercedes looks at the rugged mountains in Aragón and recollects her native Girona and also her boarding school in Switzerland. A long time has passed since she left Girona to marry Eduardo with whom she had two daughters. Both girls, Alba and Luisa, love nature and after long winters in Barcelona in their mother’s house they only dream of going back to Teruel. Once there, Alba will spend hours wandering across the valley, delighted to add to her collection of flowers and dreamy Luisa will write poems and chase butterflies. Mercedes firmly believes in freedom and education for women and, at her request, canon Bernardo Zapater will encourage the two girls to follow their scientific interests. One day Heinrich Moritz Willkomm, a German botanist arrives in the town. He is working on a book which will revolutionize botany and has been cataloguing flowers and species for years. Little by little Alba finds a soulmate in him and Willkomm also falls head over heels in love with the resolute and intelligent Spanish girl but he is a married man and his world is Germany. In spite of the intense mutual attraction, they both know that they can only be bound together by the recollection of one summer in Valcabriel Alba, like the sweet-smelling flower they discovered together, decides to live the daily life of changing seasons: there will come the winter of her melancholy, the fragrant and short spring, the summer, dry and cruel and the autumn, the prelude to the snow. But with the death of her mother and the family’s financial ruin she must give up botany, her passion and get married as befits young girls of her times. 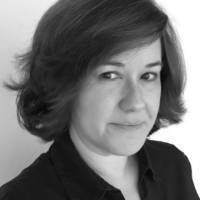 On the day of her wedding, a letter arrives from Germany inside a locket. A moving story about a woman who knew how to shape her own road in life in spite of the restrictions of the times. A story which remains, which finds a nook in I do not well know which part of the body. A story like a caress. A beautiful novel. There is delicacy in each and every of its elements. A novel which rescues from oblivion the figure of the Spanish botanist, Blanca Catalán de Ocón. A homage to all women who knew how to shape their own road in life in spite of the restrictions of the times. An oasis of peace. Historia de una flor is so beautiful in its harmonious whole. It is a wonder how it is written. With the simplicity so similar to some flowers which do not need big leaves and bright colours to captivate you by their beauty and quite possibly become your favourite. (#) You are transported through its pages not even being aware of it, like lightning. Do not miss this marvel. One of those books we will fall in love with this year, 2019. 2018 © Hanska Literary&Film Agency, S.L.